NewsNow Search Engines – Aggregation of MSM and blog posts about search engine industry news. 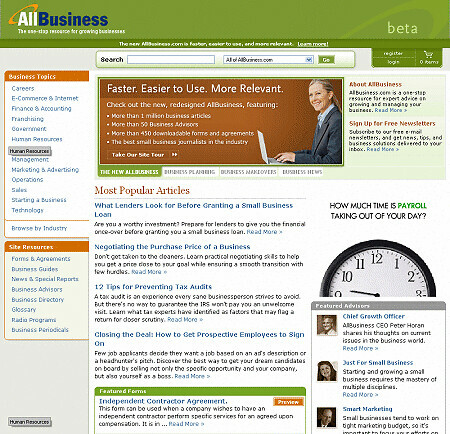 Search Brains – Aggregation of SEO blog posts from iEntry. Micropersuasion – Steve Rubel always finds something new. New PR – Digg style site on new media public relations created by Constantin Basturea. 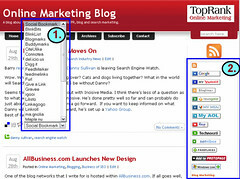 Google Blogs ‘n More – Collects all the latest official Google Blog posts, plus Matt Cutts’ blog and the MSN and Yahoo search blog – from Phillip Lessen. Search Engine Roundtable – Barry, Chris and Ben bringing it to you every day. SEOmoz Daily SEO Blog – The amount of original, useful content from Rand and company at SEOmoz EVERY DAY is absolutely mind numbing. With all the buzz about social media optimization the past week, I thought it would be timely for us to present two updated tools for encouraging the sharing of and linking to content as well as distribution. These are concepts that are fundamental to the notion of social media optimization or SMO. 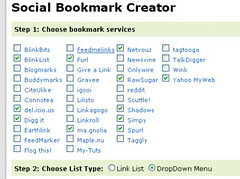 The first tool is one we’ve received excellent comments on and it’s called the Social Bookmark Creator. In order to make it easy for readers to save a blog post or a web page for reading later or to aggregate resources using a social bookmark service, we’ve created a tool that allows you to add a social bookmark menu after each post or on a static web page. Listening to the news last night, Fox9 here in the Twin Cities was talking about their new website, myfox9.com, and the offerings of a free blog to everyone. Not being one to pass up an opportunity to check out new blogging software, I signed up and made my first post. To say the least, it’s lacking so far. Missing are quite a few key features. Title tags, customizable categories, PINGing and auto detect RSS feeds are just a few of the bigger missing features. Granted, this may be under heavy construction as quite a few parts of the new site is. Barry reports this morning that Danny Sullivan is leaving Search Engine Watch. Wow. What’s next? Hell freezing over? Cats and dogs living together? What in the world will Search Engine Watch and SES be without Danny? Seems things didn’t quite work out with Incisive Media. I think there’s less of a question as to what will Danny do without Incisive. He’s done pretty well so far and can probably do just about anything he wants on a go forward.¬† If you want to keep informed on what Danny will be doing on a go forward, he’s set up a Yahoo Group. Best of luck to you Danny! Business Week is taking votes for their annual Best of the Web, which is not to be confused with the most excellent web site directory and blog directory from BOTW.org. There are 23 categories and two of them are related to blogs. The selection for “favorite blogs” includes an interesting mixture ranging from Scoble to Sand Hill Slave to Tech Crunch. At the time of this post, there are only 744 votes so far with Tech Crunch the clear leader, but I think the SEO/SEM readership out there could make quite an impact on that if they wanted to. If you would like more of a variety of blogs to vote for, then go ahead and fill in the write in form. I know I did. I put one in for Search Engine Roundtable and another for Matt Cutts. Good luck guys! Akismet Spam Plugin Went Down, Briefly. I’ve recently been using Akismet as my spam plugin for WordPress. It had been doing great, until this weekend. All of a sudden, spam started piling up and I was kept busy trying to remove it all. It’s amazing how great spam plugins do work, when they work. I ended up turning on Spam Karma for a while and that fixed everything. It turns out that Akismet was down over the weekend for some updates. All should be good now though. 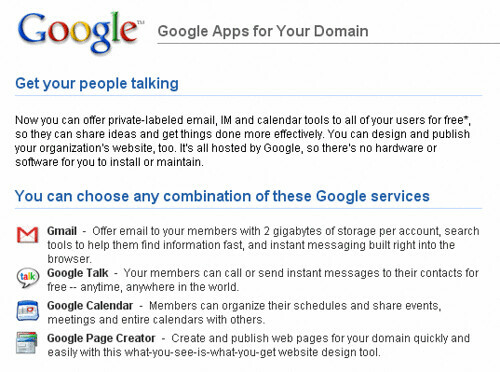 Google announced tonight the availability of “Google Apps for Your Domain” which currently includes private-labeled: Gmail, Google Talk, Google Calendar and Google Page Creator. A free version and a paid version are available, without any further details on the paid version at this time. Sign up and setup for the service is pretty easy and requires the same kind of validation as Google Sitemaps. For Gmail, you can send and receive email using the designated domain name, but with all of GMail’s features. For Google Page Creator, you can create pages to be published under a subdomain, example, seo.yourdomainname.com so you’ll need to add a CNAME record. Feedblitz Emails Getting Caught in Spam Filters? I received a comment yesterday on how Feedblitz emails had stopped arriving for one user. I’m not sure what blog he’s subscribed (the issue wasn’t with this one) but there could be a handful of reasons why the email notifications are not arriving. However, today I noticed that my Feedblitz alerts, that I had previously setup for a few blogs, were now showing up in my Gmail spam box. I’m not sure what triggered the email to be marked as spam, however Gmail didn’t like it. If you are subscribed to a blog via Feedblitz, and the emails stop coming, check your spam box and make sure they aren’t just getting filtered out.